Whether you’re a staunch Harley-Davidson owner or prefer a Suzuki, Honda, Kawasaki, Triumph, Indian or BMW, you love your motorcycle. You’re no doubt skilled at riding it in a variety of conditions as well. You’re cautious, alert and always on the lookout for distracted or impaired drivers. In short, you’re a model motorcyclist. Unfortunately, all the care and skill in the world can’t eliminate the risk of a serious motorcycle accident. 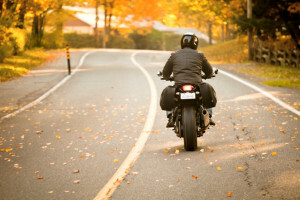 As a motorcyclist, you’re much more vulnerable than the average car and truck driver, particularly when the roads you ride are dominated by larger vehicles whose drivers often fail to respect those on two wheels. If you’re involved in a motorcycle accident, the first thing you need to do is make sure you’re physically okay. Even if you don’t appear to be injured, you should call the local authorities and consent to a thorough medical examination. Since it’s critical to document the extent of your injuries, you shouldn’t refuse medical treatment at a clinic or hospital. If you’re able, be sure to provide a full accounting of your side of the situation to the proper authorities before leaving the scene. • Who will deal with the insurance company on my behalf? • How do I ensure that other parties to the accident are held financially accountable? • How will I pay for my medical bills? • How will my damaged motorcycle be handled? An experienced personal injury attorney can answer these and other questions for you. That’s why it’s critical to obtain legal representation as soon as you’re able. To learn more about how my team and I can assist you as you pursue your motorcycle accident case, call The Law Office of Gary Poole at (800) 942-1191 or contact us online for a free, no-obligation consultation. If you’re able to meet in person, we’re also happy to schedule a one-on-one meeting at your convenience.